Ask any Walt Disney World enthusiast how many days they have left and most will quickly spout of a number. No, they are not referring to how many days they have left to live. They are referring to how many days they have left until they are back in the World. Some may give a single digit number with many exclamations behind it or you may even get a three digit number….yes we keep track that far in advance. You might even come across a few who will list multiple numbers. Today is day 180 for me! This is a significant number when it comes to planning a Walt Disney World vacation. Why you ask…as you always do. I don’t know why you even asked. You know I am going to tell you anyway but I appreciate your enthusiasm! Day 180 is important because it is the earliest you can book an advanced dining reservation (often referred to as ADRs) at any of the over 75 table service restaurants located within Walt Disney World. It may seem ridiculous to book a reservation at a restaurant your are going to eat at six months from now but there are some restaurants where you will not get a table unless you are proactive in your planning. One of the most sought after dining experience is Le Cellier Steakhouse located at the Canada pavilion in Epcot’s World Showcase. Sometimes you may get lucky if you happen to catch a reservation someone canceled but if you really want to experience a particular restaurant I advise adhering to the 180 day rule. Last May we planned our trip only a couple months before our trip so we did not have a 180 day last time. We also happen to nab the free counter-service dining plan (future post) but we upgraded to the regular dining plan to include some table service dining. This only left us a few months to make our ADRs. Le Cellier was out of the question but just because the restaurant is not fully booked does not mean it is not worth checking out. I was very impressed by the table service meals we had and restaurant reviews will be coming soon! As big a deal as WDW enthusiast make out of the 180 day mark it is only relevant if you are wanting to experience any table service restaurants which I highly recommend. Dining in Walt Disney World can be one of best and most unique dining experience you may ever have and is big part of a true WDW experience and like everything else Disney does the little details to do go overlooked. You do not have to plan to eat at one every day but I would browse some of the restaurants on Walt Disney World’s website and find one that really interests you and will fit in your budget. I will be honest there are some pretty pricey restaurants at WDW and some even have a dress code but I can assure you the service, quality, and the memories you will get from the experience will be totally worth it! Reservations can be made on disneyworld.com/dining or by calling 407-WDW-DINE and now using the free Mobile Magic App! 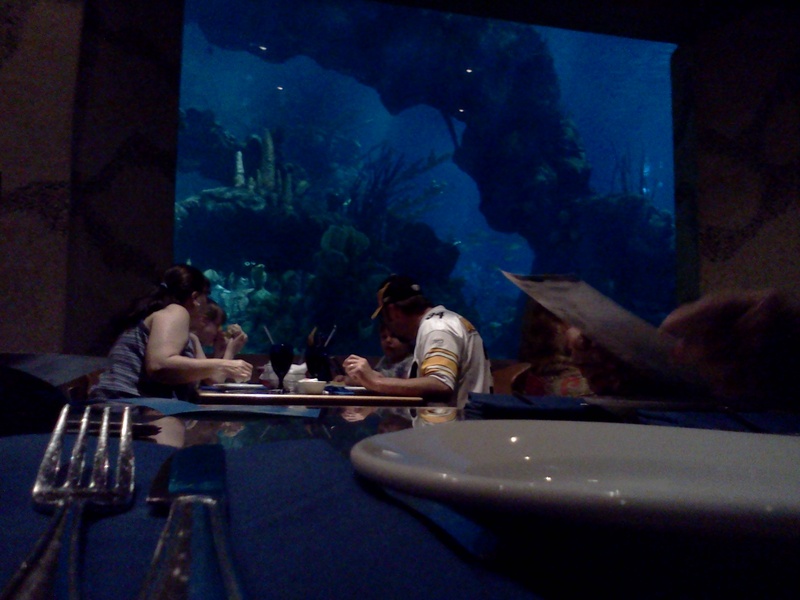 This entry was posted in Food, Trip Planning and tagged travel, vacation, Walt Disney World. Bookmark the permalink. I will vouch for the dining plan as well! It was great getting to experience this aspect of the parks. The food was really good. However I would add that dining does cut into your other touring time. I still highly recommend it, but just have realistic expectations about how much time it will take and plan accordingly. I made all of the dining reservations for our last trip and I really like the online reservation system. Keep in mind I haven’t eaten at nearly all of the restaurants and you can’t go wrong with any of them! 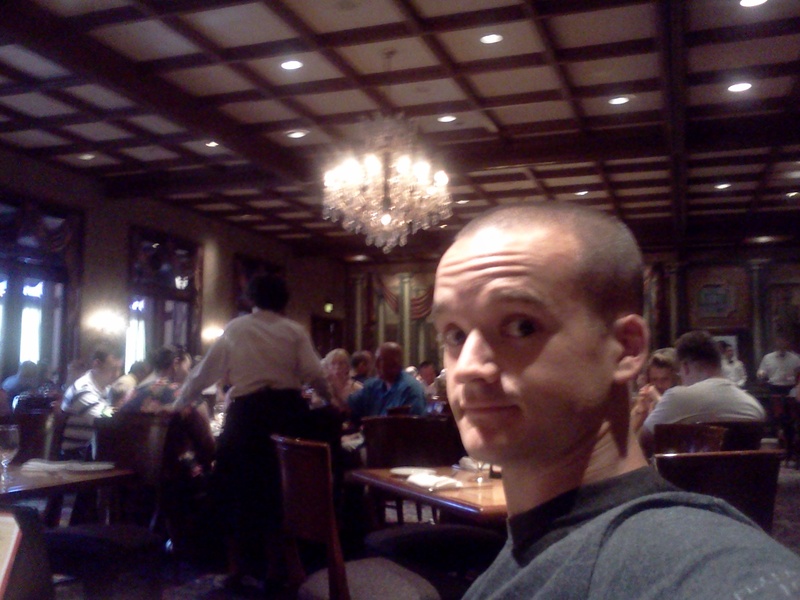 California Grill was great, but the food wasn’t particularly memorable for me. At those prices, I’d rather eat at 2 other places instead. If you have a lot of money, or are on the dining plan, by all means, eat there, but I’d be reluctant to pay out of pocket. Seeing the fireworks from there was neat, but I’d rather be in the park. When I reread my comment, I couldn’t believe I hadn’t mentioned Cosmic Rays. I would have given it the award for “Best Value.” Tons of food and it was tasty! Plus, the entertainment is definitely memorable. Great family venue! I think I would enjoy California Grill a little more if I was by myself or with one other person where we could sit at the bar and watch the chefs cook the food. The restaurant is set up as an open kitchen so you can see “backstage” while your food is being prepare. I think this would enhance my experience since I enjoy cooking. Also if you are a sushi fan, this is a place that should be on your list. From what I have heard, it is one of if not the best sushi place on property and I do recall a cast member telling us that the sushi chef, Yoshie Cabral, is one of the top 5 women sushi chefs in the United States. He said there aren’t many sushi chefs that are women because their warm hearts give them warm hands which does not work well with sushi which is served cold. California Grill is also going down for refurb this year so I am interested if that might change the experience. To be honest, I didn’t care much for watching Wishes from the roof. I am like you. I would rather just see it in the park.